A collection of easy, surefire recipes for the incredibly popular electric pressure cooker, the Instant Pot, all beautifully photographed and fully authorized. 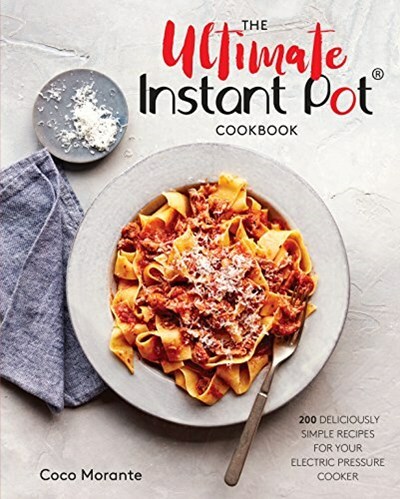 The 200 well-tested, fully authorized recipes in The Ultimate Instant Pot Cookbook cover every meal of the day, making this the ultimate collection of recipes for the home cook. This is the only book you'll need when looking for tried-and-true classics like creamy tomato soup, ground beef stroganoff, chicken mushroom casserole, or peach cobbler; international favorites like carnitas, chicken tikka masala, or refried beans; and crave-worthy treats like French toast casserole and triple chocolate cheesecake. With recipes for every meal, from breakfast to dessert, this book is your one-stop source for mouthwatering weekday meals.